Pairing: Richard/Jared, Misha/Jensen on the side. Summary: When a recently-divorced and rather drunk Jared swears that he’ll marry the next person stepping into the bar he’s at, he really, really didn’t expect it to be Richard. 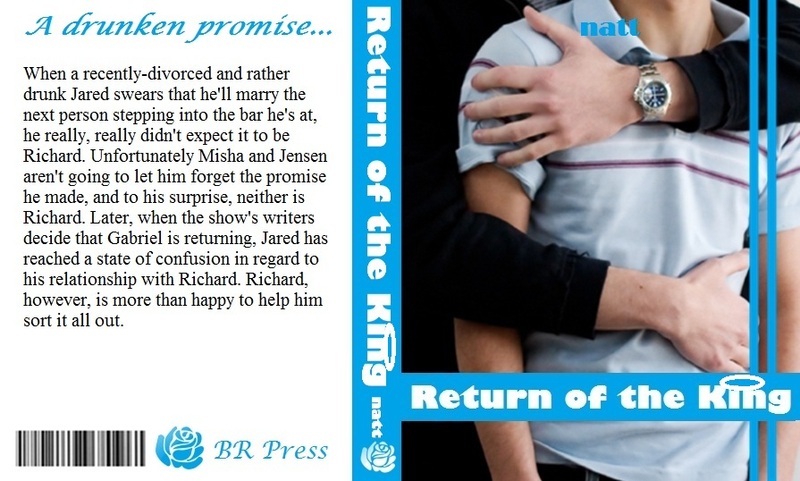 Unfortunately Misha and Jensen aren’t going to let him forget the promise he made, and to his surprise, neither is Richard. 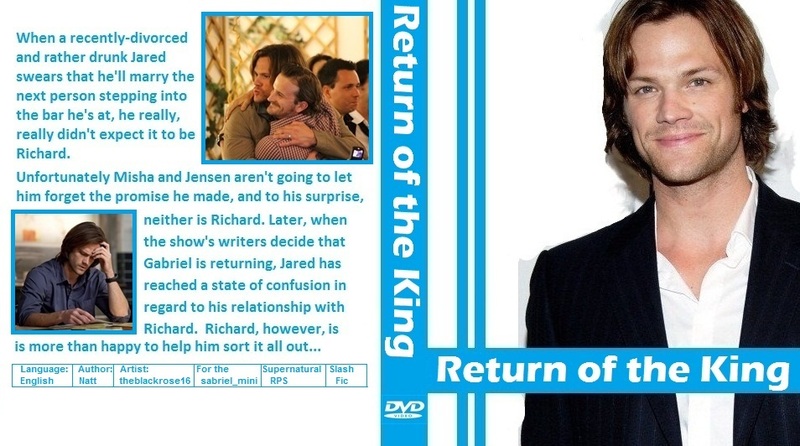 Later, when the show’s writers decide that Gabriel is returning, Jared has reached a state of confusion in regard to his relationship with Richard. Richard, however, is more than happy to help him sort it all out. Notes: This story was written long before the most recent kerfluffle about Destiel and the SPN writers, and any similarities between the events in RL and the events briefly mentioned in the fic are merely coincidental. I want to thank natt for the wonderful story and the opportunity I had to work with you in creating the artwork. I also want to say thanks for all your suggestions, they really helped me.